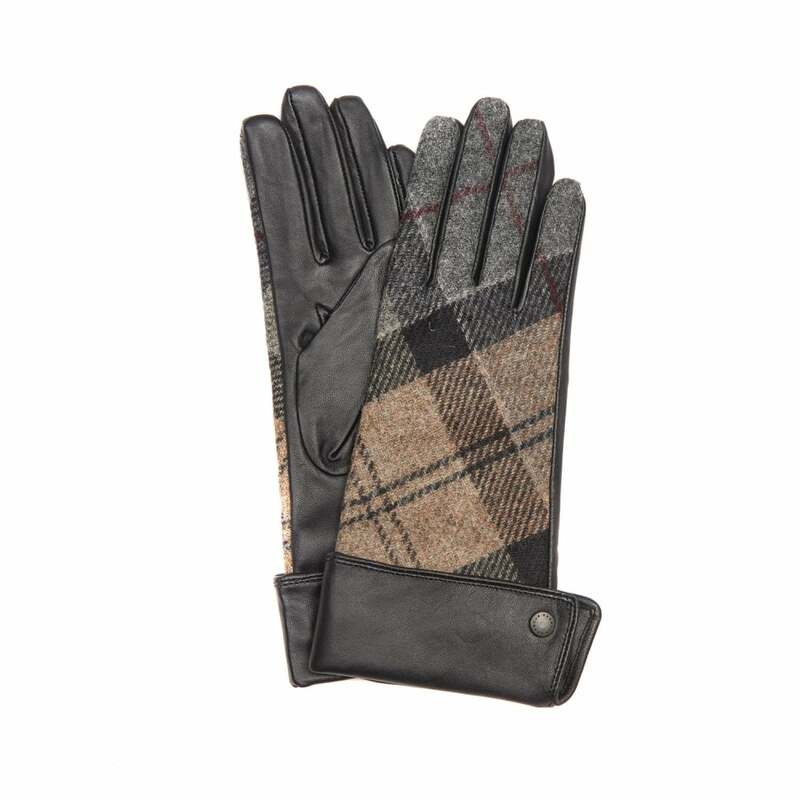 These Gauntlet style gloves have been crafted from Barbour tartan with a leather palm and turn-back strap. Designed to keep your fingers warm this winter these gloves have been beautifully finished with branded stud detailing on the turn back cuff. These would make a great gift- either for someone else or yourself!